A&E wait times have reached the worst levels since records began, according to the latest NHS figures published this week (February 14). Hospital A&E units in England have seen only 76.1 per cent of patients within four hours in January, the lowest percentage since the NHS began recording wait times against the target in 2003. A&E units are meant to attend to 95 per cent of patients within four hours. Hospitals’ failure to cope amid rising pressures has translated into more than 300,000 people having had to endure waits of more than four hours. Another 80,000 people had to undergo so-called ‘trolley waits’, where patients wait for four or more hours to be transferred to a ward after their wait in A&E. Only two major emergency departments in England met the four hour target, while attendances skyrocketed by 85,000 in January compared to the same month last year – another record. Responding to the latest figures, Nuffield Trust chief economist professor John Appleby said that the figures show that the NHS is “fighting a losing battle in trying to meet its commitments to provide timely health care in the face of the pressure it is under. In December, Unite saw the future that today’s January figures confirm, when it said ahead of Christmas that the NHS was facing ‘a perfect storm’ winter crisis as ministers energies were diverted by Brexit. Unite outlined at the time a series of factors contributing to what the union predicted would be among the worst winters for the NHS on record. Among these factors was a below average annual budget increase; a dramatic 24 per cent decline in the number of health visitors since 2015; another 12 drop in the number of mental health nurses over the last eight years; and a massive number of vacancies throughout the NHS. These vacancies are in jobs as varied as ambulance and paramedic workers; clinical psychologists; mental health nurses; and learning disability support assistants, among others. Recruitment and retention remains a serious problem in the health service, Unite has found, while the lack of progress in integrating health and social care at a time when the elderly population continues to grow places yet more strain on an NHS that’s already struggling to cope. Commenting on the latest figures, Unite national officer for health Colenzo Jarrett-Thorpe said that exactly what Unite had predicted in December had come to pass. 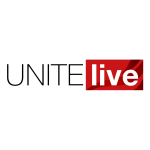 “These latest figures show precisely what we at Unite have been saying for some time,” he said. “The worst wait times on record don’t just happen in a vacuum – they’re the result of a combination of government failures, from chronic underfunding the NHS to failing to take action amid an alarming recruitment and retention crisis. We cannot allow Brexit to distract us from an NHS that is well and truly at breaking point, or else waiting times will only become unsustainably worse”. He explained that the £20bn a year injection of extra cash for the NHS by 2023-23 announced by the government last summer is only three per cent a year when historically, since the NHS was founded in 1948, the average has been four per cent. “The shortfall in funding is glaring,” Jarrett-Thorpe warned. Doctors in Unite (DiU) chair Jackie Applebee agreed. “At present there is no slack in the system so that when there are high levels of patient activity, especially during winter, waiting times just get longer,” she said. She highlighted that the strain isn’t just hitting hospitals. Applebee went on to note that the entire NHS workforce is at the end of its tether, working as hard as they possibly can. Shadow health secretary Jon Ashworth agreed, calling the latest figures a “damning indictment of years of austerity and wider cuts imposed upon health and care services under the Tories. “Ministerial incompetence has left our NHS with chronic shortages of NHS staff with no clear idea of how to sort this out,” he added.